Hi. I’m Professor Rosie Harding, Chair in Law and Society at the University of Birmingham, and I’m leading this research project. I’m interested in how law shapes people’s everyday lives. I’m especially interested in how law affects relationships, between family members, between friends and between professionals and ordinary people. 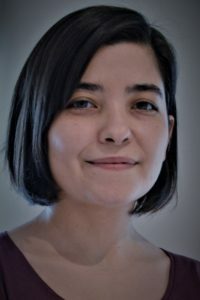 I’m doing this research because I want to find ways to make the legal aspects of everyday life work better for people with disabilities, especially people who find it hard to make decisions about their lives because of intellectual disabilities, learning disabilities, brain injuries and dementia. I have been working in universities since 2004. I completed an LLB (Hons) law degree at the University of Edinburgh (2000), an LLM masters degree in law at Keele University (2004), and a PhD in law at the University of Kent (2008). I also have a Postgraduate Certificate in higher education teaching (2009, Keele). I have worked at the University of Birmingham since 2012. I have written lots of academic articles and some books about how law shapes everyday life. 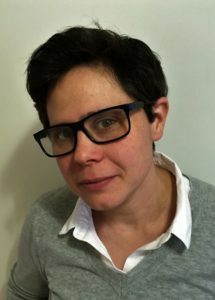 You can find out more about my academic work on my university staff profile page. Hi. I’m Dr Esen Ezgi Tascioglu and I worked on this project with Rosie as a Research Fellow at the University of Birmingham. I have a keen interest in the role of law in deepening and alleviating social inequality. I find it particularly exciting to look at this role of law in everyday life and even when nothing ‘legal’ seems to be happening. 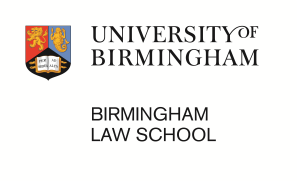 Before joining Birmingham Law School, I received a BA in Cultural Studies at Sabanci University in Turkey (2008), an MA at the International Institute for the Sociology of Law in Spain (2010) and a PhD in Law and Society at the University of Milan in Italy (2016). Besides my academic work, I have been volunteering for various organisations since my undergraduate studies. I enjoy reading and listening to people’s stories and I am deeply persuaded by the power of storytelling. I am now a Lecturer in Law at Keele University.